Coming from its roots in smokey casinos and dingy basements, tournament poker has shot into the spotlight in recent years – both online and in high-profile televised events across the world. Many mobile developers have whipped up poker games of their own to cash in on this upswing in public opinion, with varying levels of success. 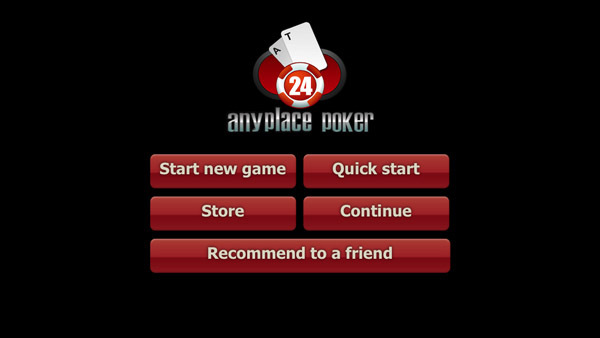 Appnetto’s Poker Anyplace(inexplicably called Anyplace Poker on the game’s own home-screen but Poker Anyplace everywhere else) joins this long list of purportedly free poker titles on the App Store, this time with the focus on hot-seat turn-based gambling. Simplicity is the buzz-word here. Light on options, game modes, flash and substance, Poker Anyplace is about as straightforward a poker experience as you’re likely to play. 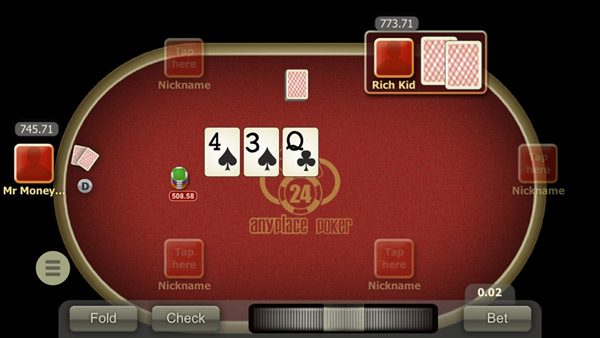 There are a number of poker variants, each with their own slant on the basic game, but Appnetto has stuck to the core rules – this is poker without bells and whistles. You’re asked to create a new game, select the number of players and starting chips, set the big and small blinds (the forced bet at the start of each round), and that’s about it. One table design, one top-down viewpoint, tiny card graphics – neither the gameplay nor the presentation come close to capturing the excitement and allure of high-stakes poker. As basic as it is, Poker Anyplace gets the job done. Until you’re slammed into the paywall… hard. While you’re informed from the App Store page that this free game offers in-app purchases, it doesn’t tell you what they are. You’re left to learn that the hard way – like the first time you try to play a round of cards with more than two people. Sorry, pal, that’s going to cost you. How about adding an avatar to your player character instead of just a shadow? Yeah, you’ll need to reach for your wallet there too. Even the password system for “protection from the cheating” demands $0.99. There’s a Pro Version for $1.99 which opens the table for six players and allows editable avatars and the rest, but even then you only find out what it includes once you’ve paid for it – a rather audacious monetization tactic for such a low-key game. The main selling point here is the hot-swappable system where you and your friends can play on one mobile device. No log-ins or complicated connection set-ups required. Unfortunately this play mode isn’t just a useful extra – it’s the only way to play. An online mode of sorts should be a given in this hyper-connected era. Besides, if you’re already sitting around in a social environment, you may as well grab a real deck of cards. The target market here has to be newcomers to the game – experienced users will expect a lot more from their mobile poker experience. 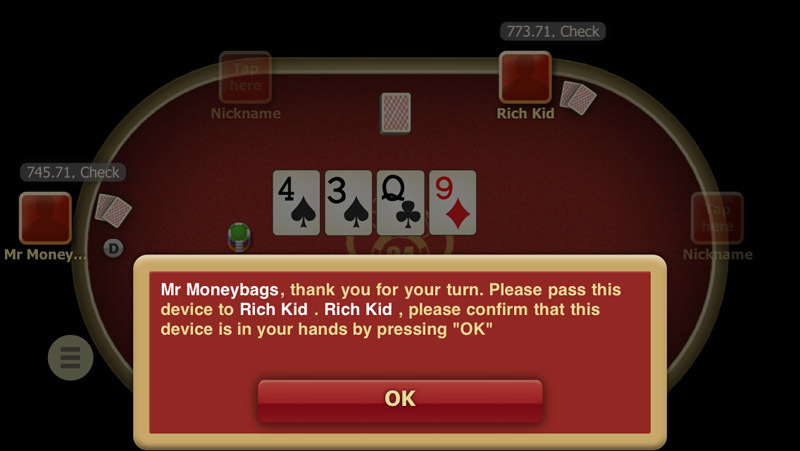 Even as an entry point, Poker Anyplace struggles to compete with its App Store peers, especially when you consider how little game you’re getting for your “free” download.